Kick-off of the First African scientific society of Medical and Biological Engineering. Dr Leandro Pecchia, LP Chair of the HTAD, participating to the meeting the First IFMBE African Biomedical Engineering (BME) Forum, (Addis Ababa, Ethiopia, 2nd – 3th March, 2018). This was a kick-off meeting of the first African Scientific Society of BME. The meeting was attended by 13 Sub Saharian Africa Countries: Ashenafi Hussein, Ethiopia; Guy Claude Nkundabahizi, Burundi; Prince Verhoustraeten, Democratic Republic of the Congo; Kelly Maint, Mali; Sudesh Sivarasu , South Africa; George Boadu, Ghana; Prince M. O. Mbah, Nigeria; Sam Byamukama, Uganda; Samwel Hhayuma, Tanzania; Salome Mwaura, Kenya; Kouemo Tchokodjeu Emmanuel, Cameroun; Roland Laleye, Benin. 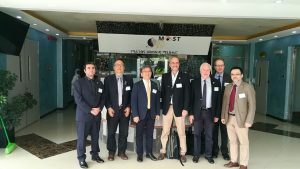 Also IFMBE participation was extraordinary: Prof James GOH (Singapore, IFMBE President), Prof Ratko MAGJAREVIC (Croatia, IFMBE Past President), Prof Kang-Ping LIN (Taiwan, IFMBE Secretary-General), Prof Marc NYSSEN (Belgium, Treasurer), Prof Mário Forjaz SECCA (Mozambique, Developing Countries Working Group), Dr Pecchia Leandro (UK, Chair of the IFMBE Health Technology Assessment Division). 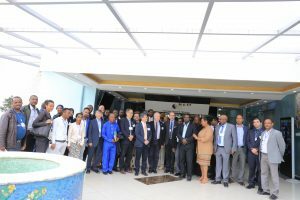 The two-day meeting was hosted from the Ethiopian Ministry of Science and Technology (Day 1) and from Africa Unite (day 2), demonstrating the huge support from African Institutions, which clearly see that BME and healthcare technologies represent an outstanding and unprecedented opportunity to reinforce social and economic growth in Sub-Saharan Regions. This is the first time such a huge number of African scientific societies of biomedical engineers and technicians meet together to share their vision and draft a possible strategy. 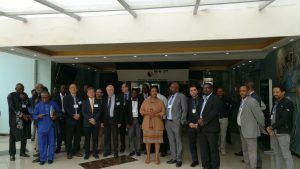 The main outcome of the meeting was the decision to create an interim IFMBE African Working Group, which will pave the way to the establishment of a permanent working group, during the forthcoming IFMBE World Congress. The group, Chaired from Dr Ashenafi Hussien, will focus on several action points, including: reinforce networking among African and international BMEs and Technicians, using also social media; harmonize BME&T education in the region; promote BME&T research and Innovation; promote dialogue between BME&Ts and National and International Institutions; disseminate and promote African BME&T activities in the world. During the meeting, Dr Pecchia presented the results of the African field studies performed as cooperation among WHO, IFMBE and ABSPIE (University of Warwick) cooperation, supported by the EPSRC Warwick Impact Accelerator Award.